Ariel: So for this one, you know, I want to do — I want to put it in its own space, I want to give it its own frequency range, and I really want it to just become a long reverb/delay throw, so I think I’m going to feed a reverb into a delay to create that kind of ghostly effect, if you will, so first off, let’s go ahead and give this its own space. So again, just probably 12dB/octave, nice gentle shelves. I want it to be slightly different, so we’ll try it maybe a little higher. We’ll see how it sounds in the mix and tweak it, but this gives it its own band range. Let’s just find a nice reverb. I love the Manny verbs. Manny, if you ever see this and watch it, you did a great job with these verbs. I just got to say, great job. Now, let’s try and feed this into a delay, because that’s really going to extend this reverb, and make it more like an infinite, kind of ghostly effect I’m hoping. If it doesn’t work, ignore everything that I’m saying. This should be cool. Let’s see. I’m just looking for a simple delay. Mod Delay. There you are. Alright, so we’ve got it synced. 74. Let’s put it at a quarter note and see how that sounds. Maybe we’ll go to the eighth note, but I want this feedback to be pretty darn high, because I really want it to extend forever. So we got that. And then just to make it even more interesting, you know, this is ear candy, let’s put on a Mondo Mod after that, play with the panning. Look at these. Pensado panner, that’s awesome. I think there’s one that I want. Subtle pan. I think these might be a little too extreme. Yeah. I’m just going to start at the factory default, and I’m going to tweak from there. So I’m going to reduce the mix. These modulations seem a bit strong, so I’m just going to kind of reduce it. These, if you increase them all the way, it’ll make a more wobbly sound. I don’t want it to sound wobbly, I just want it to sound spacey and cool. So let’s see where we’re at. Let’s see if I’m anywhere close to what I’m thinking I’m creating here, I could be way off. Let’s quicken this, because that was a little too long. So let’s go to the eighth note. Maybe pull out a little mid out of here. Let’s try that again, and I’m just doing this through with the mouse, just so I can see how it sounds. I like that. I think its doing what I want, it’s just too high end-y. Forgive my poor English, that’s why I got into music, so I’m sorry. But I want it to have more body, not be so crispy. Let’s see how this is. I think I can rock with that. So what I’m going to do is I’m probably going to be using this throw multiple times throughout the song to keep some consistency and all of that. Maybe I’ll change the reverb and delay times or something, but I’m what I’m going to go ahead and do is do some quick automation. So I’m going to turn off everything I’m not going to automate. The quick key for that was Apple+4 to bring up your automation suspend. I only want to do the send volume. Not the pan, not the mute, not the plugin automation, right? I’m going to set this to right, and remember this quick key I taught you earlier. Control+Apple+click this. Now I see what I’m doing. So let’s go ahead and do it. That’s close enough. Then I can kind of go in here and just tweak it. I like to just do it by mouse. You know, I have a Presonus fader at home. There’s other ways of doing this, but just do whatever is comfortable and quick for you. I like to rough it in and then detail it myself manually with my mouse. Just like this, basically. That way I keep some of the feel of doing it live. It’s creating just a smooth transition, a nice little bed, and it’s just kind of connecting everything together. So that’s how we’re going to smooth out these transitions, and that’ll be kind of our unique effect. You know, I think it’s kind of cool when you can’t do everything from scratch, because you’ll be influenced by what you’re working on. You might come up with something you’ve never come up with before. You’ll always have your go-to effects, but just play around, you know. Have fun with it because mixing is supposed to be fun, and if you can imagine what you’re trying to do before you try to do it, instead of just guessing, that’ll help you get there faster. So I’m happy with that. I think I’m just going to go ahead and copy and paste this to the other side, because I’m sure I’m going to want it there. I haven’t heard it yet going down like that, but let’s just see. I imagine. Okay. So now that I’m paying a little bit more attention, I think we can smooth it out even more with more compression. This is going to be a cool way to keep the level right where I want it, because right now it kind of comes in, and it’s too dynamic for me. I really want this effect to come in strong, right at that level, stay at that level, and then it can kind of decay out, but I don’t want it to kind of do this wave thing that it’s kind of doing right now. So let’s just see if we can’t compress it and get around hearing it. That didn’t even touch the compressor, did it? So I’ve got to — let’s fix this. That’s not what I want to be using. I want to be using this guy. There we go. So let’s turn down the output, let’s increase this gain, because I want to try to compress it by like — again, at least six dB, because it was sounding too unprofessional. Okay, that was a bit strong. Turn down too much. There’s no way to do this other than just going at it until you get it right, you know what I mean? Okay, so that’s not doing quite what I want. Let’s just bring up Dyn3. 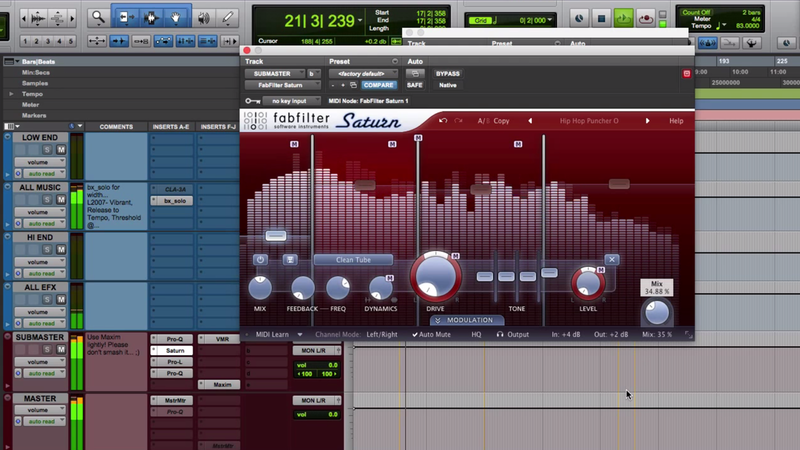 This is — it has great metering, it’s one of the newer plugins with Pro Tools. What’s really cool about this one is the metering is so accurate and you have full control over every parameter. 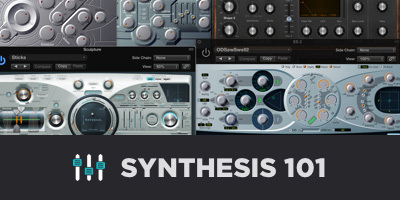 It has the built in sidechain right here, so you can go ahead and create filters if you only want the compressor to key off of certain frequencies. It’s pretty neat, you can even listen to what you’re doing here. For now, I am just going to quickly get this in, because I don’t want to spend too much time on this. So now it’s doing what I want. It’s compressing — let’s see how much its compressing. Taking up to 6dB off, but it’s just those quick little peaks that happen. I’m going to set the release a little slower, just so its a little more natural sounding, and then we can move on, but it’s good to take the time to dial in what you’re hearing, so that way, nothing sounds like it’s been shortcut, and when the final mix gets turned in, they can hear the time you spent getting it right. You don’t want to burn yourself out on a sound, and if you end up spending too long on something, leave it and come back to it later, or hear it with fresh ears and you’ll get it like that. But definitely take the time to get what you’re hearing across through the speakers. So that’s sounding pretty good. Bob: Alright, next we’ll dive into vocals. So this is Park’s lead rap vocal. So with this whole song, he had some cuss words in here, so I have alternate playlists for clean and dirty, which on all commercial releases, mix engineers are required to turn in clean versions so that can be played on radio and TV commercials and other areas where they don’t want to hear cusswords. So there’s many ways to do clean versions, some people will reverse a word, some people will put in a noise or something. In this situation, we just muted the words. So every word that was a cuss word, it’s just muted. Simple enough. So vocally, his vocal actually sounded pretty good, and I EQ’d it a couple times, and I kept noticing that the original sound sounded good, and when you solo it, it almost sounds like it could just be great for the mix without having to do too much to it, and I was losing it a lot dynamically, and that was causing me to do a lot of fader rides to get the words to come out, and also, when I did start to compress it a little bit with the 1176, I felt like I was getting more of a bounce out of it that complemented the bounce of the drums. So we started there, we started with an 1176 Waves, using the black version. Medium attack, really fast release. Not very aggressive. At the most, I think there’s spots where it hits about 4dB, so we’re just kind of leveling stuff out. We’re not crushing the heck out of it. After that, a de-esser. Waves De-esser, followed by C6 multiband. So the things I hear with this vocal, the esses, they’re not at all painful or out of control, but they distract a little bit when I take all of the plugins off. That could’ve just been the way his voice matches the mic, or preamp, or something. I don’t know if it was EQ’d or how it was recorded, but containing the high end, but at the same time, after it’s contained, brightening it back up, and then also the proximity. He’s got a little bit of boominess, probably from just being close up on the mic, so the C6 by Waves definitely helps out with that. We’re pushing down on this proximity area. Just to pull out some of the boominess, and then the mid-range. And then our kind of ess areas. Super air above that. So those are getting compressed, and then we follow that with a Pro-Q 2, some filtering. We went up to about 140, then pulling down some almost 500. Then just a couple of frequency dips of things I heard once I got the whole mix together. Just tucking some areas of frequencies just to help it sit in the mix the way I wanted it to. So he had a fairly strong air on this vocal. I don’t know what the mic was, but it had a good amount of air on it, so I did a filter around 18kHz just to pull out some of the air. I don’t want the height of his vocal competing with the hi-hats, and it sounds weird to have an airy vocal on a rap anyway. If it was a Pop ballad or some other kind of song, it might be appropriate, but on this, I think that filtered high end is a cooler way to go. So on top of that, we’re actually compressing his ess range and the air range as well. That proximity area is still strong, so I hit it again with the Pro-MB, even though we were already hitting it with the C4. It’s a little higher in frequency than the C4 was. It’s a little more in the mids, but it’s kind of containing that, and then we follow that with an Ozone — let’s see, it’s an iZotope Ozone 7 EQ. So pull out 407 about 1dB. Pulled out 1.5kHz at 1dB. That’s probably just to match a lot of the other times we’d been working on this area at 1.5kHz. Once you end up pulling it out of enough instruments, you’re going to have to end up pulling it out of everything else, or else it’s going to sound odd. So getting a little bit of presence pushed up at about 4kHz, then this sibilance range, again, around 8kHz just pulling that down just so it’s not too bright. And then, lastly, the Massey de-esser. If I ever feel like I need a second de-esser, I usually go with the Massey because it has a mix knob. That was I can de-ess it, but bring the mix back to 50% so that way I’m not totally killing the esses. So we ended up with a nice, EQ’d, even vocal that matches the track. So we’re sending firstly, we send it to this parallel. So we’re going pre-fader to this mono aux, and then we were hitting this with a CLA76, the blue version. After that, the Waves L1 limiter. That’s reducing about — I usually try to get that around 2dB, 3dB on most of the time. So that blended together. It’s kind of like the upward expander that I was doing with the MV2. It just kind of makes sure that all of the lower dynamic lyrics are kind of pushed up a little bit in the mix. So if you watch these meters, this one has almost no dynamics, and this one you can see the dynamics still fairly intact. So rather than just continuing to add more compression to the lead vocal, we get a vocal that won’t go anywhere. We hear every lyric on that parallel, but then we get the natural dynamics from the uncompressed one. It’s not completely uncompressed, we have a little bit of compression with the CLA76, and then the C4 is adding some compression, but it’s not as drastic, so we kind of have the best of both words. So after that, I’m sending to 2 effects. One is the Waves Doubler, and the other one is the FabFilter Pro-R. It’s the Waves doubler. This is an old school trick that engineers have been doing for a long time. A lot of guys used to use the Eventide harmonizer to do this, but basically what we’re doing is it’s a hard left and right panned effect, and we’re basically going — detuning, we’re going up six cents on one side, and going down six cents on the other side, and that kind of creates a chorus effect, and every half — basically if you think of the scale on a piano, every — moving up every note is 100 cents, so six cents is so small, you’re still pretty much on the same original note, it’s just slightly pitched up enough to where it causes a chorus effect, but not sounding pitchy or out of tune. If you went 50 cents, you’d be a quarter tone up. If you went 55 cents, you’d definitely hear that it was out of tune. But six cents, or four, or even ten, you’re still safe. So just pushing up on one side, down on the other, you get this kind of added chorus effect. I’ll pop that in as he’s rapping. So let me exaggerate that for you. So it kind of has a room sound to it, so it makes it stereo. And what I like about adding this in to vocals just a little bit is it kind of takes the vocal from complete mono to just filling it out a little bit stereo wise, so your artist kind of gets to command the stereo field a little bit more in front of all of the instruments. So then we have our Pro-R by FabFilter. This is a preset I just made awhile back. Kind of a medium sized room, a little less than 1.5 seconds. Not really wide, it’s about 60% width of stereo, and then a little bit of brightness added, and then you can see down here, I just sculpted the EQ, rolled off some of the air, some of the lows, and then kind of tucked some of the mids there. So it’s not very evident when you put it in the track. But if you mute it, he will suddenly sound too dry. So it gives it a little bit of space. Dry could be cool too. You could definitely go completely dry with a rap vocal and stylistically, be completely fine, but this just gives it a little bit more dimension and a little bit more depth, so we kind of expanded the vocal this way with the doubler, and this way with the reverb. 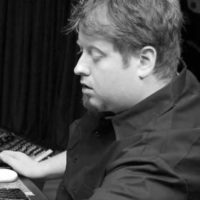 Bob Horn is a mix engineer who has worked with Grammy Award-winners including Usher, Timbaland, Ashanti, Dave Koz and Akon as well as many others.